Driven by the requirements of the 2014 Sustainable Groundwater Management Act (SGMA) many regions of the state must develop new plans to protect and improve groundwater basins. First in line are the most critically overdrafted basins. Recharging groundwater basins with flood flows and stormwater can both reduce flood risks and bring these basins back into balance. 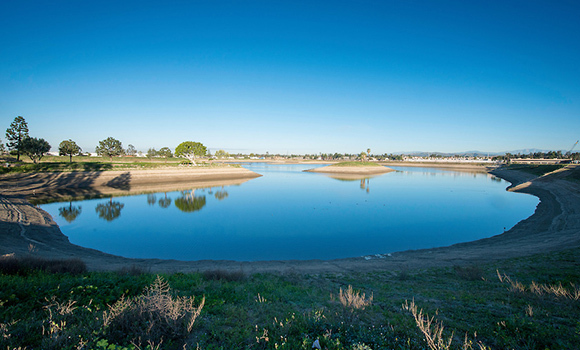 In many areas, groundwater recharge projects can also reconnect historic floodplains, providing valuable habitat benefits for fish and wildlife. State support for research, best practices, and creative funding approaches. Policy recommendations to coordinate groundwater recharge with water and land use policies and requirements. Funding and regulatory incentives for coordinating land, water, and flood management. The ideas and recommendations will be compiled and developed for discussion and endorsement at the One Million Acre-feet Challenge working session at the 2018 California Economic Summit in Santa Rosa on November 15. Join us for the discussion. Learn how you can make a difference in your region. Register today.